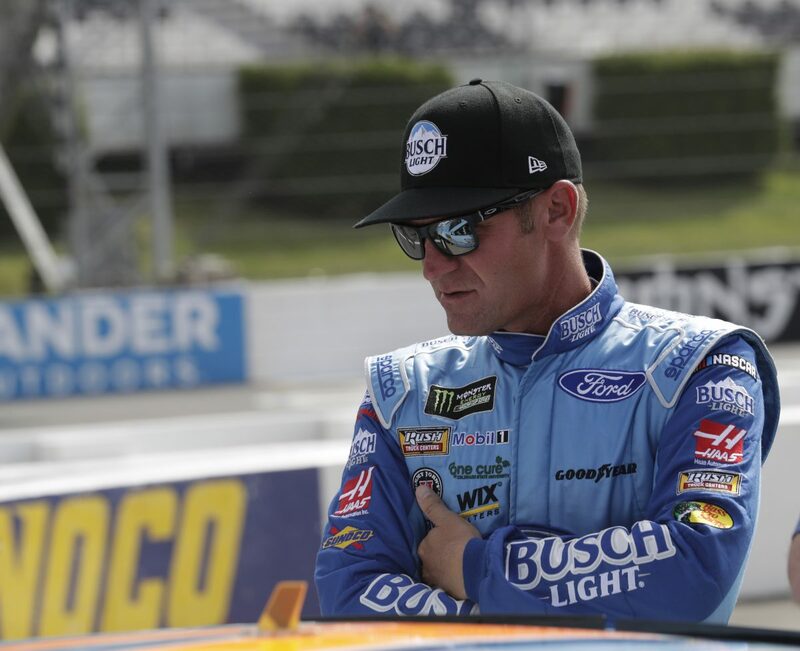 ● Clint Bowyer started ninth and finished fourth, scoring seven bonus points. ● The No. 14 Busch Light driver steadily worked his way forward in the field, running sixth by lap 16. ● Bowyer’s team reported that he ran the fastest lap of the field several times during the first 20 laps of the race. ● The Busch Light driver battled a loose-handling condition the majority of the stage. ● Bowyer brought his Busch Light Ford down pit road for a scheduled stop on lap 25 for four tires, fuel and air pressure adjustments. ● Bowyer broke into the top-five in the final laps of the stage, ultimately ending Stage 1 in fourth. ● Started sixth and finished third to earn eight bonus points. ● Bowyer raced his way back into the fourth position after the Stage 2 restart. ● The No. 14 Busch Light team raced as high as third by lap 70. ● Bowyer made a scheduled, green-flag stop on lap 78 for four tires and fuel. He was told to back up his entry in the tunnel to assist with handling. ● Bowyer continued to battle a free-handling condition through Stage 2 as track temperatures changed. ● The Busch Light driver raced his way up to third with 10 laps remaining in the stage, where he ultimately finished Stage 2. ● Started seventh and finished 20th. ● Bowyer worked his way back into the top-five early in the final stage but dropped back to ninth on the first restart. ● The Busch Light driver made it three wide going into turn one with 17 laps remaining to earn back the 10th position. ● He continued working his way through the field, earning the seventh spot by lap 150. ● Unfortunately, Bowyer missed a shift on lap 155 and dropped back to 25th. ● The Busch Light team ended the race in the 20th spot. ● Bowyer finished fourth in Stage 1 to earn seven bonus points and third in Stage 2 to earn eight bonus points. ● Martin Truex Jr. won the Pocono 400 to score his 17th career Monster Energy NASCAR Cup Series victory, his second of the season and his second at Pocono. His margin of victory over second-place Kyle Larson was 2.496 seconds. ● There were six caution periods for a total of 23 laps. ● Twenty-seven of the 38 drivers in the Pocono 400 finished on the lead lap.